2012 Jeep Wrangler Unlimited Sahara 4WD. 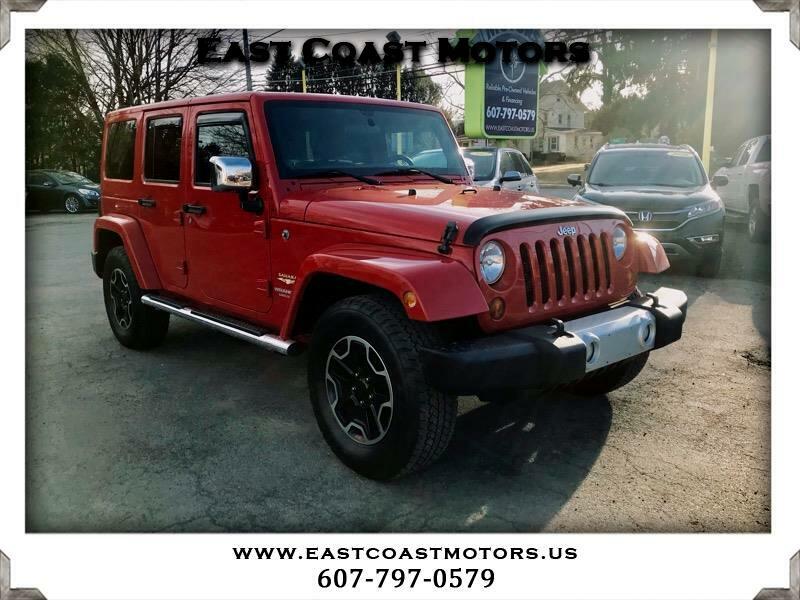 This Jeep Wrangler Unlimited Sahara has heated leather seats, navigation, painted to match hard top, alloy wheels, tow package, cd player, power windows, power locks, remote start, and running boards. MONTHLY PAYMENTS AS LOW AS $289.